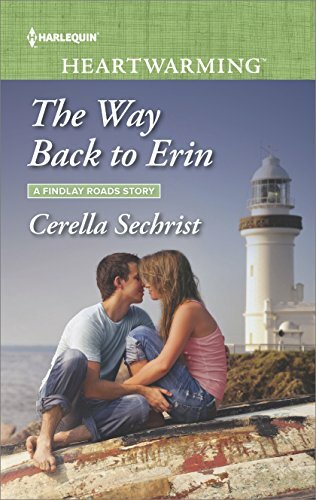 I’ve been celebrating the release of The Way Back to Erin, my third novel in A Findlay Roads Story series, and I recently shared some of my inspirations and challenges in the creation of the stories. While each has some difficult, true-to-life element at their core, The Way Back to Erin carried a lingering weight given all the grief shared by the two main characters, Burke and Erin. Grief is a tricky thing. It has no timetable. It is not bound by the constraints of a five-step process. It will catch you unawares, lulling you into a false sense of security one hour, only to strike you savagely with the reminders of your loss in the next. Grief will tie you up, cut you deep, and hold you down. But it will not keep you there forever. Visit me on the Harlequin Heartwarming blog for more details behind the story, including the inspiration for the town of Findlay Roads as well as the scene that moved me the most while writing. All three stories in A Findlay Roads Story series are available now in eBook or mass market paperback. I’d love to hear your thoughts! They say not to judge a book by its cover, but I’d love for you to do just that in the Cover of the Month contest on AllAuthor.com. The Way Back to Erin has been nominated for the March contest, but only the top book covers will move on to Round Two.